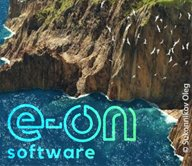 Updates for Maxon, Adobe, Boris, and Frame.IO booth presentations, and Boris contest. NAB Show 2019. Here’s your definitive guide to post-production events and NAB Survival info for NAB 2019! Plan your trip to maximize your time. First Time to NAB? Survival Guides! Sales info will be posted on our news blog as it is announced. Follow us on Twitter, LinkedIn, or Facebook for sales announcements. Contact Michele Terpstra with any information you would like posted about your booth or event, or to correct any errors. Thursday, April 11, 9 am- 2 pm. Register for NAB here. Register by mid-March to receive your badge in the mail! U.S. media registering after Friday and international press will need to pick up badges onsite at the Las Vegas Convention Center. Vendors at the show each have their own free code. There’s a competition put on by the show for exhibitors to get at least 300 sign ups. See below in the vendor grid for some free codes. I would recommend that you register for a free one, even if you aren’t sure that you can make it to the show. The code will save you about $150 on a pass. Let us know if your booth has a code and we’ll add it to the list. There are loads of free guest passcodes for a Free Exhibits Pass on Twitter now, but here are a few of our vendors. Get some tips on how to make it through the convention at your best! 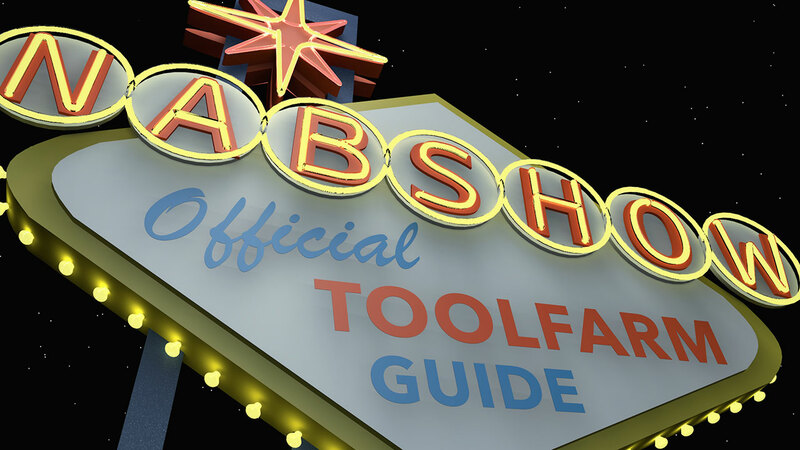 Toolfarm NAB Survival guide from Toolfarm on Vimeo. to be done at what is a very large trade show situated in the Mojave desert. It’s early so we haven’t heard if everyone who had booths last year will be participating again. We’ll edit the list below as we get information and add notes as needed. If you have information that we should add, please contact Michele. Adobe’s booth is always a hot spot at NAB. Andrew Kramer always fills the seats, as well as Jason Levine, and more. Adobe has a partial schedule online. Scroll to the bottom of this page to see it. They don’t have their schedule up yet but last year I caught a fantastic presentation from the editors of Stranger Things. Las year, Avid also raffled copies of Media Composer and Pro Tools at their booth and on their social channels When we have more info, we’ll add it. In case you missed it, we're giving away #Epoch | Neutron I/O cards at #NABShow, stand SL9021! Add us to your show #schedule at https://t.co/xZQI6WVDmB to ensure you don't miss out! Boris FX SL7620 Boris is in the same space as last year. Each year, Mary, Ross, Peter and the rest of the team show you what’s new in Continuum, Sapphire, and mocha! Tune in for a liveBuZZ from the show! We’ll link their schedule when it’s ready. Note this is a meeting room and not a presentation space, but if you’d like to meet with them, they will have a presence there. The full range of FilmLight systems will be demonstrated on booth SL4105. Frame.io SL2426 While we don’t sell Frame.io at Toolfarm, they have a product that is beloved by many of our customers. Also, they have a stellar lineup at their booth. Presenters include Stu Maschwitz of Red Giant, Ryan Connolly of Film Riot, Alexis Van Hurkman, as well as presentations about Kyno and Silverstack Lab. Last year, Greyscalegorilla had booth directly behind the Maxon Booth. Chad Ashley of Greyscalegorilla, and Chris Schmidt, formerly of GSG will be presenting on the Maxon stage. Read the press release from Maxon. Each year, Maxon puts on their C4DLive broadcast with experts in the industry giving inspirational presentations. They also give away great prizes. They don’t have info yet but you can sign up to be informed of upcoming content. NewTek SL5016 Kiki will likely be presenting Tricaster non-stop for 4 days! I don’t know how she does it. 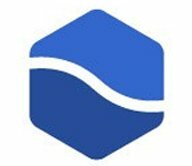 NewBlueFX is on the lower level this year. 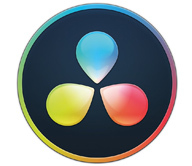 Come check out Titler Pro! Pomfort C7935 Stop by to see the newest transcoding enhancements for Silverstack Lab, and get an exclusive sneak peek at what’s coming up for LiveGrade Pro. Information on what Telestream will be showing is here. Last year we had a great demo of the 3D audio software. Super cool. If you know of event details that have been released, let us know! If you don’t see what you’re looking for here, also see Broadcast NAB Show Party List. What: The Colorist Mixer an industry Meet & Greet. Colorists, Editors, DPs, Directors and DITs (plus their assistants) and the Vendors who serve them are all invited for an evening of great conversation, food and drink. What: BCPC is dedicated to supporting emerging talent in post-production and making the industry more inclusive, and we do this through regular meet-ups where “everybody knows your name” and free events. Whether you’re emerging talent, an established pro, or somewhere in between, come hang out with people from ALL areas of post-production and have some fun. What: Join Greyscalegorilla, School of Motion, Video Copilot, and aescripts + aeplugins for drinks at the NAB MoGraph Meetup. This event has quickly become the must-attend party for all motion designers. Tickets: Space is limited. Register here. Where: Renaissance Hotel Las Vegas. Monday April 8. IMUG Media Motion Ball 2018 – 22nd Annual Event!! What: The premier event for post-production, motion graphics, 3D and anyone in the production field attending NAB. The MediaMotion Ball (MMB) is from 5:30 pm on Monday, April 8th at NAB. The subsidized ‘end user’ ticket price gets you a great sit down dinner, dessert, and entry into the prize draw. There is also a cash bar. When: 5:30-10:00 pm. Doors open at 5:30 pm. Dinner from approximately 7 pm. This one may be an actual official event, but we’re listing it here anyway. Technically a “before hours” event, if you haven’t put enough mileage on your shoes, join the 4K 4Charity fun run. 4K is not actually that far and I could probably even handle that distance! It’s still early but we know we’ll have the details to post here in the next few weeks. In the meantime, stay tuned. Bookmark this page. It will be updated whenever anyone sends us new information. There are a lot of events listed at Premium Beat as well. Open Effects is a standard widely used in the VFX industry to interface between host applications and plug-ins. The Open Effects Association promotes open standards in the visual effects community to improve interoperability, reliable development, and user experience. Join us and find out how we’re working to improve your work and let us know your needs and thoughts for the future of OFX. Who Should Attend: Anyone involved in VFX: product designer and developers, writers and market leaders, CTO, VFX supervisors, technical directors, and resellers. What: #GalsNGear host a pop-up event and live-streamed show during NAB, kicking off at 8:30 am with a NETWORKING COFFEE followed by a lively PANEL DISCUSSION and gear demos on the NABSHOW Live! stage with women from across the spectrum of technical jobs in production and post. LumaForge is behind a new event which will be taking over for the Supermeet on Tuesday, April 9th at the Rio. The Faster Together Stage will be everything that you love about the Supermeet, along with all the incredible insights from previous Faster Together Stages, all in one big event. Michael Horton’s raffle is happening!